Smoke alarms in the residence is a key component to providing a safe home for your family. Smoke alarms provide occupants with early warning of a fire. This allows for early evacuation of the residence before fire spreads, overcomes the occupants, or blocks exits. According to the National Fire Protection Agency, 2/3 of all fire deaths take place in homes without working smoke detectors. 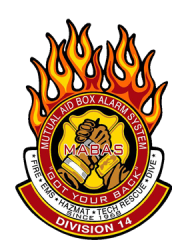 Treat every alarm activation as if it is a real fire. Exit the residence, call 911, and let the fire department investigate the cause of activation. Never return inside the residence until deemed safe by the Fire Department. Practice with your family what to do when the alarm sounds. As a family, find two ways out of each room and out of the residence. Let children hear what the smoke alarm sounds like, and have them practice crawling to safety. Install smoke detectors on every level of your home, including the basement. Place one detector outside of every sleeping area. New homes are now required to have a detector in every bedroom. For best protection and notification, have your detectors interconnected so they all sound at once. Smoke alarms should be installed away from the kitchen and bathrooms to prevent false alarms, generally 10 feet away from cooking appliances. Replace smoke detectors when they are 10 years old, or according to manufacturer’s recommendation. For residents that are deaf or hard of hearing, have special detectors installed that use the combination of flashing lights, vibration, and sound. Painting or decorating smoke detectors can prevent them from functioning properly. Keep detectors away from windows and doors. The drafts can prevent the detector from functioning. Change the battery twice a year (at spring and fall time changes). An intermittent beep of the detector could mean a low battery. Change the battery, and if the intermittent beep persists, replace the smoke alarm. Use the “Test Button” monthly to test your detector. If you have a pitched ceiling, the detector should be installed at the highest point. Ceiling-mounted detectors should be a minimum of 4 inches from the wall. Wall-mounted detectors should be place no more than 12 inches from the ceiling to the top of the detector. To reduce false alarms, lightly dust around alarms to remove dust particles and spider webs. Blowing into a smoke alarm is not recommended, and can damage the alarm causing it not to function properly.